S. Muralidhar, J. 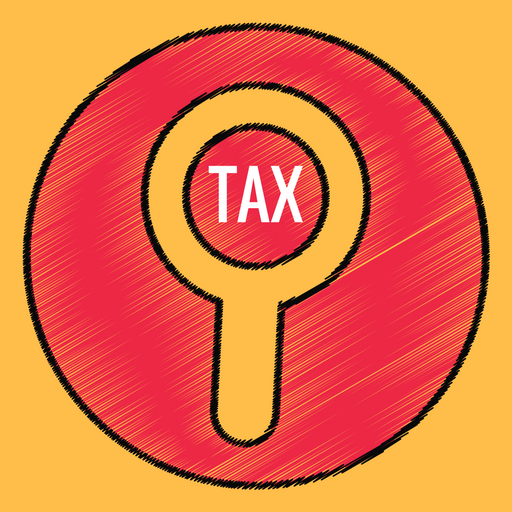 – These are appeals both by the Assessee and the Revenue, under Section 260A of the Income Tax Act, 1961 (‘Act’). While ITA Nos. 204 of 2002 and 205 of 2002 by the Revenue are directed against the common order dated 12th February 2002 passed by the Income Tax Appellate Tribunal (‘ITAT’) in ITA Nos. 950 to 954/Del/2001 for the Financial Years (‘FY’) 1994-95 to 1998-99, ITA Nos. 128 of 2005 by the Assessee is directed against the impugned order dated 30th August 2004 passed by the ITAT in ITA No. 2753, 3151, 3152 & 3153 (Del)/1999 for the Assessment Years (‘AYs’) 1996-97, 1995-96, 1996-97 & 1997-98. ITA Nos. 1206 of 2005 and 1209 of 2005 of the Revenue are directed against the common order dated 12th April 2005 passed by the ITAT in ITA Nos. l42 & 1143/Del/01 for the AYs 1998-99 & 1999-2000 ITA No. 86 of 2011 by the Revenue is directed against the impugned order dated 10th July 2009 passed by ITAT in ITA No. 682/All/2000 for the AY 1996-97. 2. At the outset it requires to be noticed that in these cases, the Assessing Officers (AO), the Commissioner of Income Tax (Appeals [CIT (A)] have in their respective orders and the ITAT in the order dated 12th February 2002 referred to FYs 1994-95 to 1998-99 whereas the subsequent orders of those authorities including the orders dated 30th August 2004, 12th April 2005 and 10th July 2009 of the ITAT refer to AYs as mentioned hereinbefore. 3. Initially the name of the Assessee was Sahara Airlines Limited (‘Sahara’). Subsequently it was renamed as Jet Lite (India) Limited. Pursuant to the orders passed by the Court on 23rd May 2012 and 31st July 2015 the name of the Assessee in these appeals stood amended as such. 4. The background to the above appeals is that Sahara entered into an Aircraft Parts Lease-Purchase Agreement (‘APLPA’) dated 24th August 1993 with AAR Aviation Trading Inc. (‘AAR’) in terms of which Sahara, which was engaged in the business of running a schedule airline, agreed to take on hire certain aircraft parts on the terms and conditions set out in the APLPA. Sahara was to pay AAR a rental of US dollars (‘USD’) 199,370 on a bi-annual basis. The lease was for a period of three years and in terms of Clause 22 of the APLPA, Sahara had an option, on the termination of the lease, to purchase all the parts at the price of USD 50,000. 5. During the FY 1994-95, Sahara paid USD 199,370 each on 22nd April 1994 (equivalent to Rs. 63,00,092) and on 14th November 1994 (equivalent to Rs. 63,12,054) respectively. Admittedly, Sahara did not deduct tax at source. It is stated that Sahara had applied to the Assistant Commissioner of Income Tax (‘ACIT’), Company Circle 3(3), New Delhi, who was at the relevant time the AO having jurisdiction, to ascertain as to whether it was under any obligation to deduct tax at source in respect of the said payments. 6. It is further stated that pursuant to the said applications, ACIT issued no objection certificates (‘NOC’) dated 24th February 1994 and 20th October 1994 permitting Sahara to remit the aforementioned gross sums of USD 199,370 under both the certificates. It is further stated that at the end of the lease period, Sahara exercised the option under Clause 22 of the APLPA and remitted a sum of USD 50,000 without deducting tax at source as the same did not represent income chargeable to tax in India. 7. The AO raised objections on the grounds that the payments amounted to royalty. Pursuant to the AO’s orders requiring that TDS should be deducted @ 10%, Sahara deducted the tax as directed and filed appeals against the AO’s order. The appeals before the CIT(A) being unsuccessful, further appeals were filed before the Tribunal. These were for AYs 1995-96 to 1997-98. After not succeeding before the ITAT on this issue, Sahara filed ITA No. 128 of 2005 in this Court. 8. Sahara also entered into ‘Training Agreements’ on 30th January 1996 with Hughes Flight Trading Limited (‘HFTL’) in terms of which HFTL which operated a flight crew training facility at Fleming Way Crawley West Sussex England agreed to provide ground and flight simulator training to Sahara’s flight crews on the terms and conditions set out in the said agreement. HFTL was to make available to Sahara’s flight crews and instructors, training equipment including a flight simulator appropriate to the aircraft for use in flight simulator training. Sahara was to pay HFTL GBP 171 per hour for the use of the flight simulator without any instructor of HFTL being present. 9. Sahara states that similar arrangements were entered into with other companies based in the United Kingdom in terms of which flight crew was provided with the facility of a simulator. The payments were made pursuant to the said agreement made by Sahara without deducting tax at source during the FYs 1994-95 to 1998-99 as such. Sahara was of the view that no part of the payment made for the use of the flight simulator was chargeable to tax in India. 10. Sahara had taken two aircrafts on lease for a period of six years from International Lease Finance Corporation (‘ILFC’) and separate agreements were entered into in respect of each aircraft. In terms of Article 1.6, read with Article 5.3 thereof, Sahara was required to pay lease rent @ US Dollars (‘USD’) 240,000 per month with effect from 31st December 1995 and USD 241,000 with effect from 1st January 1995. In terms of Article 1.7, read with Article 5.4, Sahara was also required to pay supplemental lease rent in the form of reserves @ USD 234 per hour. These reserves were categorised as ‘airfreight reserves’, ‘engine reserves’ and ‘landing gear reserves’ and were created to meet the cost of expenditure incurred by the lessee in respect of the deficiencies and work specified in Articles 13.1 and 13.2. In terms of Article 13.3 the lessee (i.e. Sahara) was entitled to reimbursement from such reserves after the work was completed and the airframe or engine had left the repair agency by submitting invoices and proper documentation in respect thereof. In terms of Article 13.6, on the termination date of the agreement if any balance was left in the said reserve, it would be retained by the lessor. Similar payments on account of supplemental lease rent were also made by Sahara to other non-resident foreign companies i.e. AMTEC, Malaysian Airlines and Lufthansa during the FYs 1997-98 to 1998-99. 11. Sahara also entered into an agreement dated 8th/9th May 1996 with Sochata, France, which was engaged in the business of maintaining and operating certain facilities for the repair, maintenance, overhaul, modification and functional testing of aircraft engine including accessories, parts and components. Pursuant to the said agreement Sahara paid, on 25th September 1996, a sum of Rs. 3,08,60,702 (equivalent to USD 8,63,719.63) and, on 24th January 1997, a sum of Rs. 2,89,19,958 (equivalent to USD 8,04,002.18) respectively in the FY 1996-97. Again it was of the view that the amount did not represent income chargeable to tax in India and no deduction of tax at source was made. 12. It is further stated that as a result of the flying operation, several parts of the aircrafts were required to be repaired/replaced. The spares were acquired in three modes. The first was an outright purchase, the second was exchange involving sending of the defective part to the non-resident company which in turn sent a part in lieu thereof. The non-resident company would raise a bill on a proforma basis for the part replaced as well as levy a charge. The third mode was by sending the defective part for repairs and Sahara used to pay a charge for the repair carried out. According to Sahara, it was advised that no tax was required to be deducted in respect of the parts purchased, exchanged or repaired and therefore, it remitted the amounts without deducting tax at source. 13. From the balance sheet filed by the Assessee along with return it was noted by the AO that for the AY 1996-97 Sahara raised share capital of Rs. 10,87,89,090 and received premium amount of Rs. 44,60,35,269 and share application money of Rs. 7,50,000. Sahara claimed to have mobilized the above amount by way of private placement of shares from 65,285 persons through a network of establishments maintained by its sister concern M/s. Sahara India (Firm). Against the face value of Rs. 10 per share, a sum of Rs. 41was collected as premium. Sahara was asked by the AO to furnish the details of shares issued during the year of Rs. 25,000 or more by a notice dated 10th September 1998 under Section 142(1) of the Act. Sahara filed a reply on 23rd October 1998. It was thereafter asked to furnish the basis of working out the premium of shares and the method of allotment of shares to such a large number of persons by way of private placement. Sahara was also asked to furnish the addresses of the top 100 shareholders who were allotted shares during the year. 14. In response thereto Sahara furnished the addresses of 92 such persons. Notices under Section 133(6) were issued to 92 such persons, but notice to the remaining 8 persons could not be sent as their addresses were not indicated in the list furnished by Sahara. These notices were sent on 17th February 1999 and 23rd February 1999. Only 17 of those notices sent were replied to, while 25 notices were returned unserved with the remarks ‘not known’, ‘refused’, ‘incomplete address’, ‘dead’, ‘left indefinitely’ etc. 50 persons to whom notices were sent did not reply. Notice dated 18th March 1999 was sent to Sahara under Section 142(1) of the Act requiring it to explain why the entry share capital with premium should not be treated as its unexplained income under Section 68 of the Act. Sahara was called upon to substantiate the identity, genuineness and creditworthiness of the shareholders. 15. Sahara filed two replies dated 24th March 1999 stating that the shareholders were spread all over the country and requisitions had to be sent to the Zonal Managers placed in the different zones. Sahara enclosed photocopies of the share applications filed in 1996 to prove the identity of the subscribers. The Department took upon itself to verify the genuineness of the transactions and replies were received only in about 20% of the cases. The AO noticed from the share application forms that the shareholders were allotted only 25% of the shares and 75% of the shares were retained by the collecting agent on the plea of getting the shares listed in the stock exchanges. The AO was of the opinion that since 75% of the shares were not handed over to the subscribers the transactions themselves appeared to be suspicious. Further it was noticed that those who had replied stated that they had invested the money in cash. This also gave the transaction a dubious colour. All the persons who replied claimed to have sold their shares back to Sahara. 16. The AO was not convinced by the statement of Sahara and it was found evasive as the shares were not quoted in the stock exchange and hence were not transferable in the market. Observing that it appeared that the Assessee had concealed some very vital facts with regard to the issue and transfer of the shares, the AO treated the sum of Rs. 55,55,89,359 as unexplained credit in the books of the Assessee under Section 68 of the Act and consequently as undisclosed income of the Assessee which was attributable to the total income of the Assessee. 17. On appeal, the Commissioner of Income Tax (Appeals) [‘CIT(A)’] by order dated 3rd March 2000 held that since the AO has chosen to enquire only into the genuineness of 100 shareholders, no additions could have been made in respect of the other 65,185 shareholders. The CIT(A) noticed that out of these 100 persons, the AO himself had stated that 17 shareholders had furnished replies and 50 of persons to whom notices were served, did not respond. However, as the notices sent were duly received, the existence of these 50 persons was duly proved. The CIT(A), therefore, directed the AO to delete the additions with respect to these 67 persons. With respect to the group of 25 persons in relation to whom the notices were returned with comments such as “refused”, “dead”, “left indefinitely”, etc, the CIT(A) held that they certainly “were in existence and their identity is duly proved.” With respect to those persons who, according to AO, were not traceable and the 8 other persons to whom the AO had not issued notices for want of addresses, the CIT(A) restored the matter back to the AO and also directed the Assessee to furnish necessary evidence to prove their identity. 18. The ITAT by its order dated 10th July 2009 confirmed the said order passed by the CIT(A) thereby deleting the addition made by the AO on this account. The ITAT upheld the order of the CIT(A) and held that the Assessee had proved identity of the shareholders. (i) Whether the Tribunal was right in law in holding that the Assessee could be regarded as Assessee in default for failing to deduct tax at source in respect of payments made to AAR Aviation Trading Inc as required under Section 195 of the Income-tax Act, 1961? (ii) Whether the Tribunal’s conclusion that the fee paid by the Appellant for use of flight simulator in terms of agreement dated 30th January 1996, was to be regarded as a payment by way of fee for technical services and accordingly, chargeable to tax in India is correct in law? (iii) Whether the Tribunal was justified in holding that the payments made to M/s. Sochata France in terms of the agreement dated 8th March 1996/9-5-1996, were to be regarded as fee for technical services? (i) Whether the Tribunal was correct in law in holding that the order by the AO under Section 201 of the Income Tax Act, 1961 in respect of financial year 1994-95 was barred by limitation? (ii) Whether the Tribunal was right in law in holding that since the tax had not been deducted at source by the Assessee, the question of grossing up under Section 195-A of the Income Tax Act, 1961, by the Income-tax Officer did not arise? (iii) Whether the Tribunal was correct in law in holding that the payments made by the Assessee towards reserve funds in respect of financial years 1996-97 to 998-99 were exempt under Section 10 (15A) of the Income tax Act, 1961? (i) Whether the ITAT was justified in the eyes of law in upholding the deletion of the addition of Rs. 55,40,38,959 made by the AO under Section 68 of the Income Tax Act, 1961, on account of the unexplained cash credit, ignoring the material fact that the Assessee had failed to substantiate the creditworthiness of the shareholders and the genuineness of the transactions? (ii) Whether the ITAT was correct in the eyes of law in upholding the deletion of the addition of Rs. 4,74,13,470 made under Section 195, read with Section 40(a)(i) of the Income Tax Act, 1961, by the AO, on account of the non-deduction of tax at source (TDS) on the amount paid by the assessee to the non-resident company towards the maintenance reserve for leased Aircraft? (iii) Whether the ITAT was correct in the eyes of law in not adjudicating the issue of inadmissibility of expenses of Rs. 52,47,225 towards the training and manpower development, paid to foreign companies u/s 40(a)(i) of the Act for being paid without deducting the TDS? (iv) Whether the ITAT was correct in the eyes of law in upholding the deletion of the addition of Rs. 1,77,82,789 made under Section 40(a)(i) of the Income Tax Act, 1961, by the AO, for non-deduction of TDS on payment to the non-residents of computerized reservation system? (v) Whether the ITAT was correct in the eyes of law in upholding the deletion of the addition of Rs. 30,40,170 made by the AO on account of disallowance of 50% of total expenditure incurred by the Assessee in issuing the free tickets was a business expenditure, claimed as business expenditure, when the said expenditure had not been incurred wholly and exclusively for the purpose of business and hence is not allowable under Section 37(1) of the Income Tax Act, 1961? (vi) Whether the ITAT was correct in the eyes of law in upholding the deletion of the addition of Rs. 1,42,76,535 made by the AO on account of disallowance of the interest paid on borrowed capital, when the said interest is not allowable under Section 36(1)(iii) of the Income Tax Act, 1961, on account of substantial interest-free funds advance to the sister concerns? (vii) Whether the ITAT was correct in the eyes of law in upholding the deletion of addition of Rs. 35,97,812 made by the AO, on account of disallowance of the 1/5th of the foreign travel total expenses claimed under Section 37(l) of the Income Tax Act, 1961, when the same are inadmissible for want of genuineness to prove that the expenditure was incurred wholly and exclusively for the business purposes? (viii) Whether ITAT was correct in the eyes of law in upholding the deletion of addition of Rs. 21,60,000 made by the AO, on account of disallowance of consultancy expenses, paid by the assessee to M/s. Sahara India International Corporation Limited, invoking the provisions of Section 40A(2) of the Income Tax Act, 1961, when the said expenditure is excessive and unreasonable and the services, which have been claimed to have been rendered have not been substantiated for genuineness? (ix) Whether the ITAT was justified in the eyes of law in upholding the deletion of addition of Rs. 54,06,701 made on account of disallowance of the claim made by the Assessee as staff welfare, when the same were considered as the entertainment expenses in the absence of any corroboratory evidence to substantiate the genuineness and reasonableness of expenditure? (x) Whether the ITAT was correct in the eyes of law in upholding the deletion of the addition of Rs.10,37,367/- made on account of the disallowance of advertising and publicity expenses, as the same being not related to the year under consideration i.e. AY 1996-97? (xi) Whether the ITAT was correct in the eyes of law in upholding the deletion of the addition of Rs.10,17,553/- made on account of disallowance of the Air Travel Tax paid by the assessee, when the same is covered under Section 43B of the Income Tax Act, 1961 and for which no proof of payment has been furnished? 25. This Court has heard the submissions of Mr. S. Ganesh, learned Senior counsel for the Assessee as well as Mr. Rahul Chaudhary and Mr. Rohit Madan, learned Standing counsel for the Revenue respectively. 26. The Court first proposes to examine the issue concerning unexplained cash credits under Section 68 of the Act. (i) The Assessee has to prima facie prove “(1) the identity of the creditor/subscriber; (2) the genuineness of the transaction, namely, whether it has been transmitted through banking or other indisputable channels; (3) the creditworthiness or financial strength of the creditor/subscriber”. (ii) If the relevant details of the address of PAN identity of the creditor/subscriber are furnished to the Department along with copies of the Shareholders Register, Share Application Forms, Share Transfer Register etc., it would constitute acceptable proof or acceptable explanation by the Assessee. (iii) The Department would not be justified in drawing an adverse inference only because the creditor/subscriber fails or neglects to respond to its notices. (iv) The onus would not stand discharged if the creditor/subscriber denies or repudiates the transaction set up by the Assessee nor should the AO take such repudiation at face value and construe it, without more, against the Assessee. (v) The AO is duty-bound to investigate the creditworthiness of the creditor/subscriber the genuineness of the transaction and veracity of the repudiation. 32. Turning the facts on hand, the Court notes that only 17 cases of 92 noticees whose addresses and share application forms were provided elicited a response. 25 notices were returned unserved by the postal authorities with the remarks namely, “not known”, “refused”, “incomplete address”, “dead”, “Left indefinitely”, etc. The balance 50 noticees who were served did not respond. (i) The shareholders were allotted only 25% of the shares and 75% shares were retained by the collecting agent on the plea of getting the shares listed in the stock exchanges. The fact that 75% of the shares were not handed to the shareholders rendered the genuineness of the transactions doubtful. (ii) All the persons who replied stated that they made the investment in cash. (iii) Almost all the persons in their replies stated that they are agriculturists and their source of income was from agricultural activities. Excepting one, none of them were income tax assessees. (iv) Although there was no provision enabling a company to buy-back shares, at least two persons had categorically stated that they had sold the shares back to Sahara. If the purchase of the shares by Sahara was made through cheque this made the transactions dubious. (v) Sahara has concealed some very vital transactions relating to issue and transfer of the shares and had not come clean with all the relevant facts and documents for the purpose of ascertainment of the exact nature of the transactions. 36. The ITAT has upheld the deletion by the CIT(A) of the additions made by the AO on the ground that the existence and identity of the shareholders had been established; that retaining of 75% not unusual in light of ‘DEMAT’ provisions; that Companies Act does not debar share subscription by cash hence payments in cash were not dubious per se; that there was no buy-back since there was a separate custodial agreement under which a shareholder could entrust his shares to be kept in the custody of Sahara India who were the managers of the issue of shares by way of private placement. 37. Having perused the documents placed on record, the Court is of the view that there was no justification for the CIT(A) to have deleted the addition made by the AO in respect of the 65,185 shareholders on the ground that the AO did not conduct any enquiry. When the AO sought details of shareholders who invested Rs. 25,000 or more, the Assessee was able to furnish the addresses of only the top 100 shareholders. The only conclusion that was possible in this regard was that reached by the AO, viz., that the Assessee was unable to establish the identities of the 65,185 persons in respect of an amount of Rs. 55,55,89,359. The onus on the Assessee of providing some prima facie material to establish the identity, genuineness and creditworthiness of the said 65,185 persons was not discharged by the Assessee. 38. It was then urged by Mr. Ganesh, learned Senior counsel for the Assessee, that in respect of the above 65,185 persons, the matter should be sent back to the AO for fresh consideration as has been done in respect of those persons whose addresses were purportedly not furnished. With the Assessee even now not coming forth with any further details, no purpose would be served in remanding the matter for determining the identity of the said 65,185 shareholders. 39. Consequently, the Court sets aside the orders of the CIT(A) and the ITAT as regards the deletion of the addition ordered by the AO in the sum of Rs. 55,55,89,359 under Section 68 of the Act on the ground of the failure by the Assessee to establish the identity of the 65,185 shareholders who are stated to have contributed the aforementioned sum. 40. However, as regards the 100 shareholders in whose cases some details were furnished by the Assessee, it is seen that 17 shareholders filed their replies and 50 others did not respond despite receiving the notice. The CIT(A) came to the conclusion that their existence or identity was duly proved. It is noticed that the persons who responded stated that they were agriculturists and not income tax assessees. Pradeep Kumar Sinha of Bhagalpur and Masood Ahmed of Madhubani, Bihar stated that they had sold their shares back to Sahara, but under the Companies Act that was not permissible. 41. The Court is of the considered view that the order of the CIT(A) as affirmed by the ITAT regarding the deletion of the addition made by the AO with regard to the share capital introduced by the said 50 + 17 persons does not call for interference as, on facts, it was a possible view to take. Even as regards the 8 shareholders and those other shareholders who were untraceable, the order of the CIT(A) remanding the matter to the AO does not call for interference. 42. The net result is that the orders of the CIT(A) and ITAT deleting the addition made by the AO of the sum corresponding to 65185 shareholders are set aside. The said sum will stand added to the income of the Assessee. However, the orders of the CIT(A) as confirmed by the ITAT deleting the addition made in respect of the amount brought in by 50 + 17 shareholders are upheld. Also, the order of the CIT(A), affirmed by the ITAT, remanding the matter to the AO in respect of 8 persons and some part of 25 persons who were not traceable and whose addresses had not been furnished is upheld. 43. The next issue that is taken up for consideration is the disallowance of Rs. 4,74,13,470 made by the AO under Section 195, read with Section 40(a)(i) of the Act for non-deduction of tax at source from payment to non-residents for maintenance reserve (supplemental lease rent). In the case of AMTEC, Malaysian Airlines and Lufthansa, the CIT(A), deleted the addition, and concluded that the supplementary rent paid by the Assessee was not taxable as the agreement in question was entered into after the amendment to Section 10 (15A) of the Act. This was upheld by the ITAT by holding that there should be an inextricable link between expenditure for spares/facility and operation of aircraft and that the payment was exempt under Section 10 (15A) of the Act. 44. As regards the payments to ILFC, the AO was of the view that after 1st April 1996, the above payments of supplemental rent were for operating the aircraft and not for acquiring it. Therefore, they fell within the exclusionary provision of Section 10(15A) of the Act and were chargeable to tax in the hands of the recipient and Sahara was, therefore, liable to deduct tax at source under Section 195 from such payments. It was held that the AO who had issued a no objection certificate (NOC) to Sahara for remitting the payments without deductions of TDS had no jurisdiction to do so and therefore such NOC was null and void. The ITAT, however, agreed with Sahara that the supplemental rent did not fall within the ambit of the exclusionary provisions of Section 10(15A) of the Act. Prior to 1st April 1996 the payments were covered by the main provision and thereafter they continued to be exempt under Section 10(15A) of the Act. The payments of supplemental rent to AMTEC, Malaysian Airlines and Lufthansa were also dealt with likewise. Therefore, the question of holding Sahara to be an assessee in default under Section 201(1) of the Act did not arise. The ITAT also disapproved the action of the AO in determining the tax liability by applying the grossed up rate of 122%. 45. It is submitted by the Revenue that by way of amendment to Section 10(15A) of the Act, the payment for providing spares, facilities or services in connection with the operation of lease aircraft was specifically excluded. Prior to 1st April 1996 such payments were exempted and the approval given by the CBDT related back to 31st January 1995, i.e., AY 1995-96 during which exemption was available. It is pointed out that under the agreement in question the lease payment for the aircraft was separately mentioned and the payment for maintenance reserve was separately mentioned. In these circumstances, it is submitted that the ITAT erred in holding that the maintenance reserve was in the nature of the lease. 46. A perusal of Section 10(15A) of the Act as existed with effect from 21st January 1989 and substituted with effect from 1st April 1996 shows that prior to 1st April 1996 payments made for acquisition of an aircraft or an aircraft engine on lease, were exempted from taxation but from 1st April 1996, the Legislature has excluded the payments made for providing spares, facilities or services in connection with the operation of the leased aircraft from the ambit of the exemption under Section 10(15A) of the Act. 48. The ITAT has examined the object behind amending Section 10(15A) with effect from 1st April 1996. If any payment had to be brought within the exclusionary portion of Section 10(15A) of the Act, then it must be shown (i) that the lessor either had supplied the spares or provided any facility or service in connection with operation of the leased aircraft; and (ii) the payment has been made by the lessee in consideration of such spares/facilities/services. The ITAT has rightly pointed out that the supplement rental was within the ambit of the original provision of Section 10(15A) of the Act. 49. On facts the Revenue was unable to point out any clause in the agreement that required the lessor to provide facilities or services in connection with the leased aircraft. Therefore, the supplemental rent did not fall within the ambit of the exclusionary provisions of Section 10(15A) of the Act. Since prior to 1st April 1996 such payments continued to be exempted under Section 10(15A) of the Act, they were not chargeable to tax. Consequently, there was no obligation on the Assessee to deduct the tax at source under Section 195 of the Act. The question of holding the Assessee as an Assessee in default under Section 201(1) of the Act, therefore, did not arise. 50. Consequently, the Court affirms the order of the ITAT deleting the additions made by the AO under Section 195, read with Section 40(a)(i) of the Act on account of the non-deduction of tax at source for the payment of supplemental lease rent to the various lessors, i.e., ILFC, AMTEC, Malaysian Airlines and Lufthansa. 51. The issue concerning payments made for training and manpower development arises in the Assessee’s appeal ITA 204 of 2002 arising out of the decision dated 12th February 2002 of the ITAT in ITA Nos. 950 to 954/Del/2001 for FYs 1994-95 to 1998-99 and in the Revenue’s appeal ITA 86 of 2011 arising out of the decision dated 10th July 2009 of the ITAT in ITA No. 682/All/2000 for AY 1996-97. 52. There are two periods during which the question arises. One relates to the payments for FYs 1994-95 to 1998-99 and the other in relation to AY 1996-97. For FYs 1994-95 to 1998-99, the AO by order dated 10th May 2000 under Section 201 of the Act held that the payments were in the nature of fees for technical services as defined under Section 9(1)(vii) of the Act and hence tax was deductible under Section 195(1). For FYs 1994-95 to 1998-99 the CIT(A) by order dated 5th December 2000, upheld the order of the AO. The ITAT too by order dated 12th February 2002 in ITA Nos. 950-954/Del/2001 (Sahara Airlines Ltd. v. Dy. CIT  83 ITD 11 (Delhi) ) held that the payments were in the nature of fees for technical services chargeable to tax in the hands of recipient under Section 9(1)(vii) as well as under provisions of the agreement. Aggrieved by the said order, the Assessee has filed ITA 204 of 2002. 53. As regards AY 1996-97, the AO by order dated 26th March 1999 held on an examination of the copy of the agreements with M/s Crown Mart Ltd. (CML), U. K. and J. T. P. Aircraft Training Services (P) Ltd., Australia (JTP) furnished by the Assessee on 10th March 1999, that the said foreign entities were to impart training in India by deputing their personnel and not in a foreign country. The income accruing to the said companies by way of fees to be paid to them in accordance with the agreement was in fact income through and from a source of income in India as defined in Section 9(1)(vii) of the Act. It was taxable and tax was deductible in respect thereof under Chapter XVII B i.e Section 195(1) of the Act. It was held that the fees paid to the said foreign agencies were indeed fees for technical services, as was evident from the agreement in question and came under the purview of Article 13 of the DTAA and was as such taxable. 54. For AY 1996-97, the CIT by order dated 3rd March 2000 held that no payments were made to CML; that the addition of Rs. 46,77,491/- paid to HFTL was deleted as the training agreement dated 30th January 1996 clearly provided that the flight crew training facility was located in England. The addition of Rs. 5,69,734/- paid to JPT was deleted as the Assessee stated that tax had already been deducted in relation to the said payment. The addition by the AO was accordingly deleted by the CIT(A). 55. In the appeal for AY 1996-97, the ITAT noted its decision dated 12th February 2002 but omitted to say that it was following the said decision and was, therefore, sustaining the addition. This is one of the grounds on which the Revenue has preferred ITA 86 of 2011. 56. The agreement dated 30th January 1996 between Sahara and HFTL has been discussed in the order dated 12th February 2002 of the ITAT. It has referred to the submissions of the learned counsel for the Assessee to the effect that what was provided to Sahara’s personnel was the facility of training on a simulator without an instructor. A higher rate of 256 pounds per hour was charged for providing training on the simulator with an instructor whereas Sahara was charged 171 pounds per hour which was the rate applicable for providing a simulator without an instructor. The ITAT however appears to have in its order dated 12th February 2002 gone by Clause 14 of the said agreement which talked of HFTL providing free training to the instructors of the Assessee. Although the ITAT states that the invoice showed the payment “for use of the simulator alone” it held that it did not mean that “technical knowledge was not provided by UK company.” What was perhaps missed was that the payment had to be for providing such technical knowledge and not merely for use of the simulator. The personnel of HFTL having experience is one thing but the question of payment for such technical services is another. The other aspect which has not be sufficiently been examined by the ITAT is the purport of the expression “make available” occurring in Article 13(4)(c) of the DTAA. In interpreting a similar clause occurring in the DTAA with Netherlands the Karnataka High Court in CIT v. De Beers India Minerals (P.) Ltd.  346 ITR 467/208 Taxman 406/21 taxmann.com 214 held that “payment of consideration would be regarded as ‘fee for technical/included services’ only if the twin test of rendering services and making technical knowledge available at the same time is satisfied.” The decision of this Court in DIT v. Guy Carpenter & Co. Ltd.  346 ITR 504/207 Taxman 121/20 taxmann.com 807 (Delhi) is also relevant in this regard. 57. As regards AY 1996-97, the ITAT has indeed abruptly ended its discussion after extracting a passage from its order dated 12th February 2002 and has not rendered any opinion. Apart from the fact that the said order of the ITAT, for the reasons discussed above, is found not to have addressed certain important aspects, the issues highlighted by the CIT(A) in the order dated 3rd March 2000 have not been addressed. E.g., the fact that no payment was made to CML and that tax was deducted by the Assessee while making payment to JPT was not dealt with by the ITAT. Further the insertion of an Explanation below Section 9(2) of the Act with retrospective effect from 1st June 1976, making the place of rendering services redundant, has not been considered. Again, it is necessary for the ITAT to consider, in the context of the agreement with HFTL and the Article 13(4)(c) of the DTAA with UK, whether any technology was ‘made available’ to the Assessee and whether there was payment for such services. 58. Consequently on the issue of payment for training and manpower development the Court remands the matter for both periods i.e. FYs 1994-95 to 1998-99 and AY 1996-97 to the ITAT for a fresh decision in accordance with law. 59. On the issue of disallowance of Rs. 1,77,82,789 for non-deduction of TDS from payment to non-residents for computerized reservation system, the Court finds that no objection was raised in AY 1995-96 with respect to the certificates issued by ITO (TDS). The ITAT also confirmed that the said certificate issued by ITO (TDS) was valid. The Revenue has not able to persuade this Court to hold that the said decision is perverse. The Assessee has made the payment after obtaining the said certificates. The issue is decided in favour of the Assessee and against the Revenue. 61. It was held that 50% of the above expenses were disallowed by the AO which worked out to Rs. 30,40,170. The ITAT following its order dated 8th August 2008 in the case of the Assessee in ITA No. 470/Del/99 accepted the submission of the Assessee that the free charged tickets were being issued on account of business promotion to various persons and merely because they have been issued to spouses or infants or where full names had not been given it cannot be presumed that they were not for business purposes. It was held that “this discretion of the management at the time of issue of FOCs is of the issuance thereof and the Department to the best of our understanding has no right to question the prudency of the decision.” There was no basis for disallowance of 50% of such expenses. 62. The view taken by the CIT(A) as concurred with by the ITAT appears to be plausible. The disallowance of 50% of these expenses appears to be not based on any material. Accordingly, the said issue is answered in favour of the Assessee and against the Revenue. 63. The next issue concerns disallowance of interest on borrowed capital of Rs. 1,42,76,535. The case of the Revenue was that the interest bearing funds were being diverted as interest free advances to sister concerns. The Assessee had paid interest to two sister concerns, namely, M/s. Sahara India Mutual Benefits Co. Ltd. at 24% and M/s. Sahara India Corporation Limited. The case of the Revenue was that while the Assessee had to borrow funds from its sister concerns for carrying on its business on which interest has been claimed under Section 36(1)(iii), the Assessee had allowed its other sister concerns to retain interest bearing funds without charging any interest. Therefore, the proportionate interest relatable to the funds retained by the sister concerns was stated to be not for the purpose of business. 64. The CIT(A) allowed the claim of the Assessee after observing that the AO did not hold the interest payment to be excessive or unreasonable and it was found factually that “not a single paisa has been advanced to the four sister concerns out of the borrowed funds” and that the AO has himself accepted that “the outstanding amounts were on account of the trading connections.” Accordingly, the addition of Rs. 1,42,76,534 made by the AO was deleted. The ITAT accepted the factual finding that the Assessee had allowed its sister concerns to retain the amount as a result of the trading transactions. Further the entire amount was taken by the Assessee for the business purpose. Therefore, there could be no disallowance of interest. 65. The Court finds that the ITAT has concurred with the finding of the CIT (A) which turned on facts. The Court is not persuaded that the said decision is perverse or suffers from any legal infirmity. Accordingly, the issue is decided in favour of the Assessee and against the Revenue. 66. The next issue concerns the addition made by the AO on account of foreign travel expenses. The Assessee had claimed foreign travelling expenses amounting to Rs. 2,21,33,253. According to the Assessee, these expenses were incurred for the purpose of training of the pilots abroad. Further the training was imparted by technical experts for the purposes of the business of the Assessee. The AO disallowed the above expenses in the sum of Rs. 44,26,650. The CIT (A) found that the decision of the AO was ill founded, without proper appreciation of the facts of the Assessee’s case and that the entire foreign travelling expenses were incurred after obtaining approval from the R.B.I. for purchase of foreign currency from the market which can never be done as an afterthought. It was observed that the agreement of the Assessee with Hughes Flight Training Ltd. clearly provided that the latter was not to give training to the flight crews in India. The CIT(A) demarcated the expenditure incurred on travel of relatives of the directors and confirmed an addition to that extent in the sum of Rs. 2200. The expenditure on travel in which the destination of the journeys were not mentioned was also separated and this expenditure in the sum of Rs. 8,26,638 was restored the matter back to the AO for a fresh determination so as to give an opportunity to the Assessee to produce the necessary evidences. The addition of the remaining expenditure in the sum of Rs. 35,97,812 was deleted. The ITAT did not interfere with the said order. The Court finds no reason to interfere with the decision of the ITAT on this aspect. 67. The next issue concerns the disallowance of consultancy charges of Rs. 21,60,000 on the ground that no reliable documentary evidence has been furnished by the Assessee. On this aspect the ITAT, for the AY 1995-96 held that the services rendered by Sahara India International Corporation Limited (‘SIICL’) to the Assessee was in connection with the lease of two aircrafts and the payment made to it for the services rendered. The Revenue had been unable to show as to how such payment should be treated as unreasonable. The Court finds that even in the present appeal the Revenue has been unable to show that the said payment has been excessive or unreasonable. The issue is decided in favour of the Assessee and against the Revenue. 68. The next issue concerns the deletion of Rs. 54,06,701 on account of claim made by the Assessee as staff welfare. The Assessee categorised the expenditure under two heads – meetings and conveyance expenditure and staff welfare expenditure. Observing that it was unclear that the staff welfare expenditure was actually incurred for the staff of the Assessee itself and that the expenditure claimed under both heads was excessive, the AO treated the entire expenses claimed as entertainment expenses under Section 37(2) and added the same to the income of the Assessee on the basis that the amount constituted entertainment expenses. The CIT(A) reversed the AO’s order on the ground that it was not clear what kind of evidence the AO was expecting. The ITAT has upheld the order of the CIT(A). 69. Having perused the documents produced as evidence, the Court finds that the CIT(A) was right in observing that it was not necessary for every employee to sign a voucher and that the AO has erred in treating the staff welfare expenses as entertainment expenses. However, the CIT(A) found that the expenses claimed as conveyance expenses were in the nature of entertainment expenses as defined by Section 37(2)(iii) and directed the AO to restrict the disallowance insofar as conveyance expenses of Rs. 7,31,324. 70. The Court is unable to find any illegal infirmity in the order of the CIT(A) as upheld by the ITAT. The issue is decided in favour of the Assessee and against the Revenue. 71. The next issue concerns the addition of Rs. 10,37,367 on account of disallowance of advertisement and publicity expenses as they were not related to AY 1996-97. As rightly pointed out by the ITAT, as per the mercantile system of accounting, bills received by the Assessee in respect of advertisement services pertaining to the previous year and continued during the year was booked only when it was crystallized. The issue has been answered in favour of the Assessee by the decision of the Gujarat High Court in Saurashtra Cement & Chemical Industries Ltd. v. CIT  213 ITR 523/80 Taxman 61 which observed that merely because the expenditure relates to an earlier year, it does not become a liability payable in the earlier year unless it can be said that the liability was determined and crystallized in the year in question on the basis of maintaining accounts on the mercantile basis. 72. Consequently, the issue is answered in favour of the Assessee and against the Revenue. 73. The next issue concerns the addition of Rs. 10,17,553 made on account of disallowance of the air travel tax (or passenger service fee) incurred by the Assessee. The question was whether the said expenditure is covered under Section 43B of the Act. The payment challans were filed by the Assessee along with its reply dated 24th March 1999. The AO held that since evidence for payment of the amount in the sum of Rs 10,17,553 could not be produced, the same was to be disallowed under Section 35B and added the said amount back to the income of the Assessee. The CIT(A), following its earlier order dated 23rd March 1999 for AY 1994-95 and order dated 29th December 1999 for A. Y. 1995-96 in AY, held that Section 43B does not apply. 74. The ITAT followed its order dated 8th August 2008 in ITA No. 294/Luc/2000 which held that Section 43B is only attracted when the Assessee claims deduction for any sum payable by way of tax or duty under any law for the time being in force, and, where, as in the case of the Assessee, no charge is claimed or made to the profit or loss account, there was no question of disallowing the amount taken to the balance sheet on the liabilities side or of “adding back” and deleted the addition. 75. Consequently, the Court upholds the order of the ITAT which affirmed the order by the CIT(A) deleting the above addition. The issue is decided in favour of the Assessee and against the Revenue. 76. The other issue that requires to be decided in ITA Nos. 204 and 205 of 2002 concerns limitation under Section 201 of the Act. The ITAT came to the conclusion that the order under Section 201 of the Act for the FY 1994-95 was barred by limitation since it was not issued within four years from the end of the said AY. The order for AY 1994-95 was passed on 10th May 2000. The other orders in respect of AY 1995-96 to 1998-99 were within the period of limitation. 77. The Court has heard the submissions of Mr. Rohit Madan, learned counsel for the Revenue at length. The payment in question for the AY 1995-96 pertained to the payment made to Jeppson & Co. for navigational data. It is noticed that the issue is covered by the decision in CIT v. NHK Japan Broadcasting Corpn. 305 ITR 187/172 Taxman 230 (Delhi) and it is answered in favour of the Assessee and against the Revenue. This amendment to Section 210 of the Act with effect from 1st April 2010 provided for an extended limitation period of seven years. However, that amendment was prospective as held in Bhura Exports Ltd. v. ITO (TDS)  365 ITR 548/  202 Taxman 88/13 taxmann.com 162 (Cal.). 78. Consequently, the said issue is decided in favour of the Assessee and against the Revenue. 79. The Court is informed that pursuant to the remand of the issue to the AO as directed by the ITAT, the Assessee succeeded before the AO. Therefore the said issue is not pressed. 80. The questions framed in the appeals are answered as indicated hereafter. 81. Question (i) regarding payments to AAR Aviation Inc is answered in the negative i.e. in favour of the Assessee and against the Revenue. 82. Question (ii) regarding payment for use of flight simulator is remanded to the ITAT for a fresh decision in accordance with law. 83. Question (iii) regarding payments to M/s. Sochata France is disposed of as not pressed in view of the subsequent development whereby on remand the Assessee has succeeded. 84. Question (i) regarding the order under Section 201 of the Act for FY 1994-95 being barred by limitation is answered in the affirmative i.e. in favour of the Assessee and against the Revenue. 85. Question (ii) regarding grossing up under Section 195-A of the Act is answered in the affirmative, i.e. in favour of the Assessee and against the Revenue. 86. Question (iii) regarding payment towards reserve funds is answered in the affirmative, i.e. in favour of the Assessee and against the Revenue. 87. The sole question regarding payment to AAR Aviation Inc is answered in the negative i.e. in favour of the Assessee and against the Revenue. 88. The sole question in both these appeals regarding payment towards reserve funds is answered in the affirmative, i.e. in favour of the Assessee and against the Revenue. 89. Question (i) regarding additions under Section 68 of the Act is answered partly in favour of the Revenue by setting aside the orders of the CIT(A) and ITAT deleting the addition made by the AO of the sum corresponding to 65185 shareholders and directing the corresponding addition of the said sum to the income of the Assessee for AY 1996-97. However, the orders of the CIT(A) as confirmed by the ITAT deleting the addition made in respect of the amount brought in by 50 + 17 shareholders and remanding the matter to the AO in respect of 8 persons and some part of 25 persons who were not traceable and whose addresses had not been furnished is upheld. 90. Question (ii) regarding payment towards maintenance reserve for leased aircraft is answered in the affirmative i.e. in favour of the Assessee and against the Revenue. 91. Question (iii) regarding payment towards training and manpower development is remanded to the ITAT for a fresh decision in accordance with law. 92. Question (iv) regarding payments for computerised reservation system in the affirmative i.e. in favour of the Assessee and against the Revenue. 93. Question (v) regarding disallowance of 50% of expenditure incurred on issue of free tickets as business expenditure is answered in the affirmative i.e. in favour of the Assessee and against the Revenue. 94. Question (vi) regarding disallowance of interest on borrowed capital is answered in the affirmative i.e. in favour of the Assessee and against the Revenue. 95. Question (vii) regarding disallowance of 1/5th of foreign travel expenses is answered in the affirmative i.e. in favour of the Assessee and against the Revenue. 96. Question (viii) regarding disallowance of consultancy expenses is answered in the affirmative i.e. in favour of the Assessee and against the Revenue. 97. Question (ix) regarding disallowance of staff welfare and entertainment expenses is answered in the affirmative i.e. in favour of the Assessee and against the Revenue. 98. Question (x) regarding disallowance of advertisement and publicity expenses is answered in the affirmative i.e. in favour of the Assessee and against the Revenue. 99. Question (xi) regarding disallowance of Air Travel Tax is answered in the affirmative i.e. in favour of the Assessee and against the Revenue. 100. The appeals are disposed of in the above terms with no order as to costs. This entry was posted in Sec. 10(15A), Sec. 37(1), Sec. 40(a)(i), Section 14A, Section 43B, Section 68, Section 9 and tagged 379 ITR, Delhi High Court, In favour of Matter remanded, non-deduction of TDS.